This time of year green markets and farmer’s markets sell garlic scapes. What are scapes? 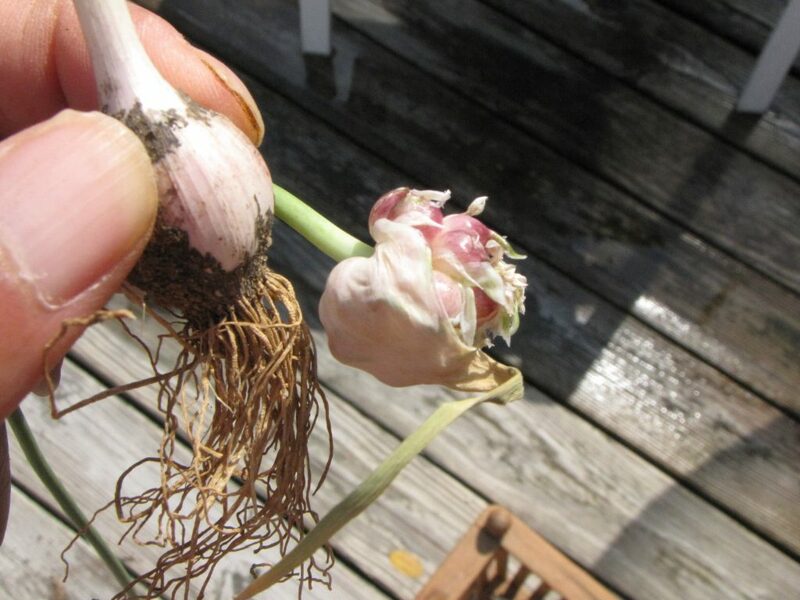 Scapes are the center stalk that grow from the bulb, and if it isn’t cut from the plant, will eventually cause the plant to go to seed and flower. This picture shows you what happens when you let a scape go to seed. The bulb (on the left) is really small. The scape forms what looks like a flower with little garlic seeds inside (on the right). If you grow your own garlic you want to remove the scapes. To do that, gently break off the end of the scape that’s closest to the stalk. Why? So that the plant puts its energy into growing that delectable garlic bulb underground. Extra bonus? You get to enjoy the scapes. So now that you’ve got them, what do you do with them? 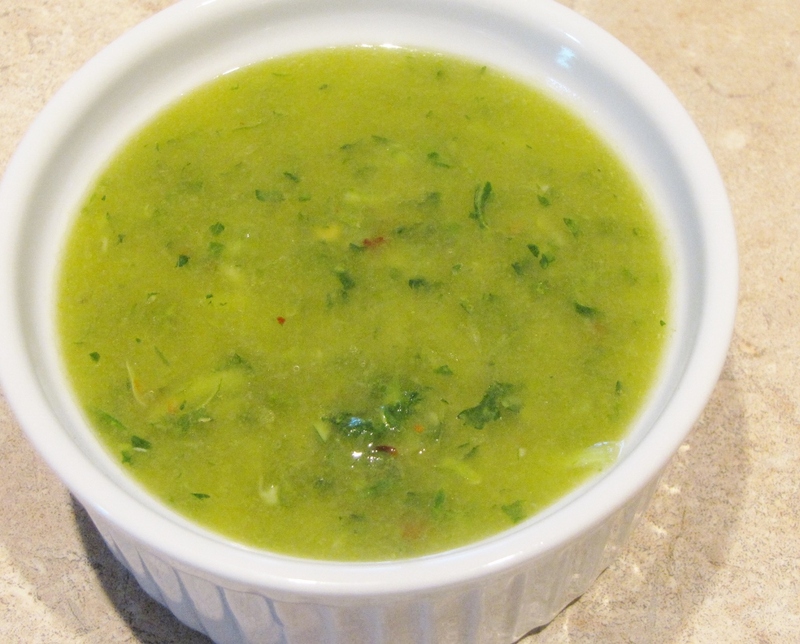 Make up a batch of chimichurri which goes great with grilled fish, chicken or beef. 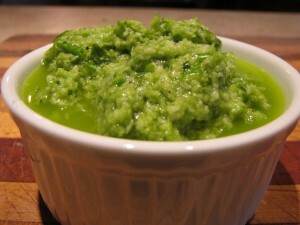 Whir up some pesto. This recipe is one of my favorites because it doesn’t use nuts. Store your scapes in a resealable plastic bag. I’ve had no problem storing mine in the fridge for up to a month. 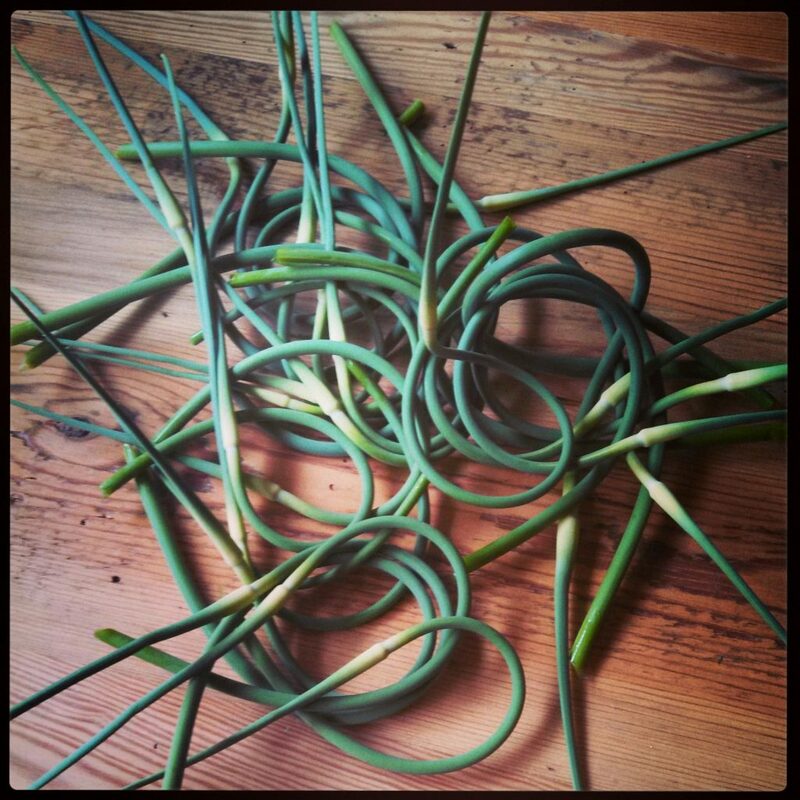 So if you see garlic scapes at the market, grab them. Now that you know what to do with them, give them a try. You can also pickle them according to the very simple recipe in Food in Jars. 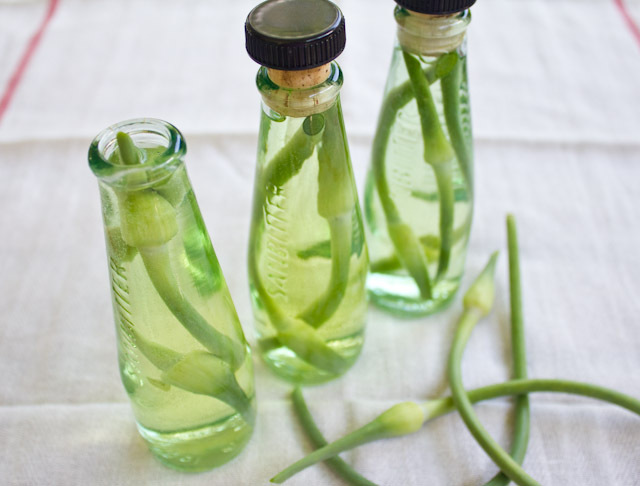 Cut the scapes into pieces that fit your jar and arrange standing upright. Include a bit of pickling spice (no need to add garlic because the flavor’s already there), bring cider vinegar to the boil and pour over the scapes in your heat-proof jar. Refrigerate a week and they’re good to go. Thanks for sharing! Great idea. I love pickled things.